If you're a regular reader of Seniorsafetyreviews.com, you already know that falling is the leading risk of injury to seniors, with over 30% of older adults having at least one fall every year. Reducing your risk of falling increases your chances of living longer and healthier. The great news is, it's also one of the more preventable risks for older adults. Unlike cancer, strokes or heart disease, you can actually reduce your risk of falling pretty easily and quickly. A new study produced by the Cochrane Library, reviewed existing research to determine how much of a difference regular exercise makes to preventing falls for seniors. 1. There is significant evidence to conclude with high confidence that exercise routines do prevent seniors from falling. 2. There is strong evidence to conclude that exercises focused on balance and functional training, probably reduce the likelihood of falls in seniors. 3. There is not a lot of evidence to conclude that exercises focused on flexibility and endurance reduce the risk of falling. 4. 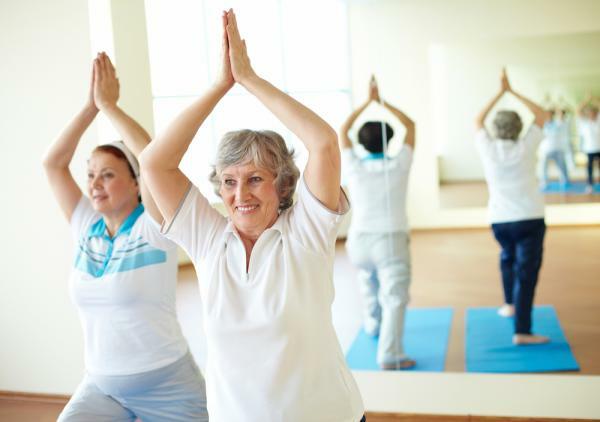 Exercise may reduce the number of fractures resulting from seniors falling. However, more studies are required to make the conclusion with more confidence. 5. Exercise may reduce the risk of a fall requiring medical attention. However, more evidence required to make the assertion conclusive. Moreover, the review did not identify how often to exercise, how intense your exercise ought to be and which exercises you ought to do. Exercise is a great way to reduce your risk of falling. However, it's only one of the factors you should consider. Some of the other proven measures you can take to prevent falls include modifying your living environment, wearing proper foot wear, reviewing your medications with your doctor and getting your vision checked annually. Regardless, whether it's for fall prevention, your heart, health or your mood, exercise will help you. So speak to your doctor to get the all clear and get cracking!